We had one nice, sunny day this past week. It mostly has been cold, cloudy and grey. 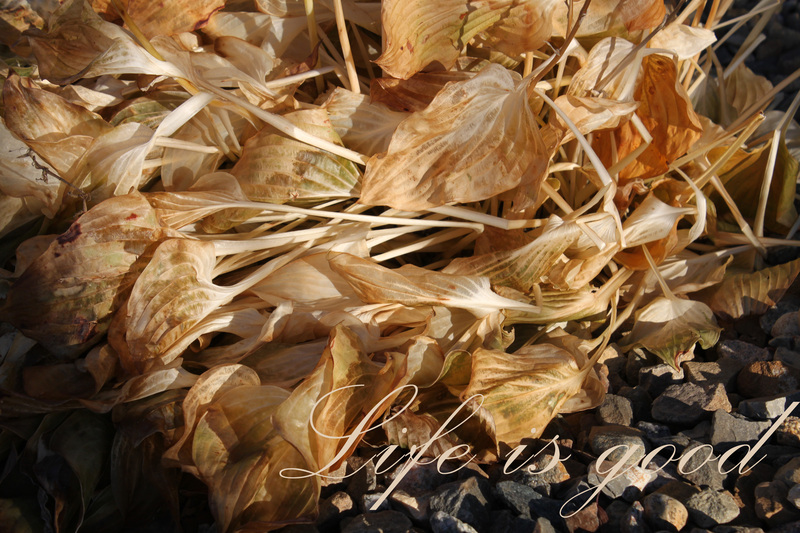 I found this hosta plant fading but still showing green signs of life. It is going into a resting period, but it will be back next spring. The sun is already low in the sky most of the day, but it was peaking around the house to shed light on the gorgeous colors. Life is good.